Serving as the content management system for over 60 million websites, WordPress is the most popular web publishing system in the world. For Oklahomans who are interested in learning more about this ubiquitous platform, the OKC WordPress Users Group is a place to call home. 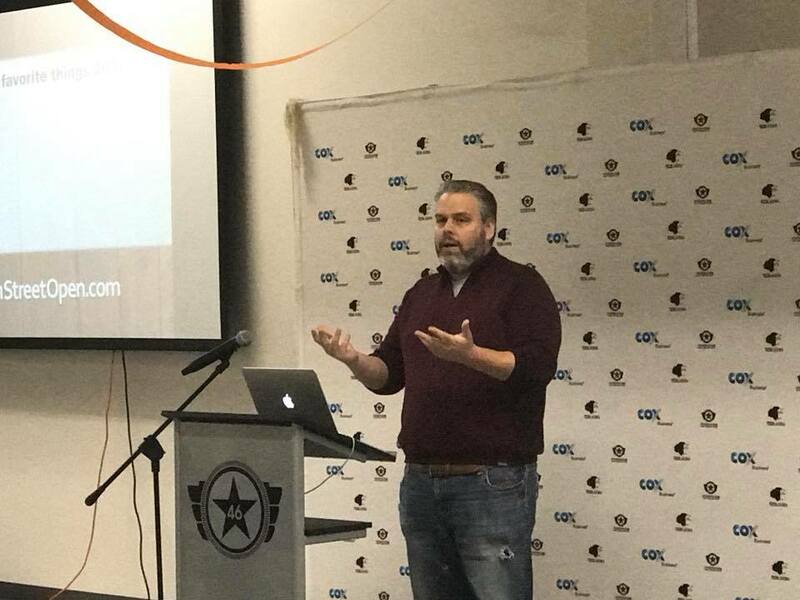 Since 2009, this group has offered Meetups on a regular basis, with the goal of connecting fans of WordPress in the OKC area. Their mission, according to the group page, is to share an enthusiasm for, and knowledge of, "the Internet's awesomest dynamic content management system." If you are unfamiliar with the world of WordPress, it is free, open-source software designed with accessibility, performance, and security in mind. The basic design is intuitive and straightforward, which is why it has become so popular. Because so many developers have embraced WordPress, there are now millions of advanced plugins and options available to users. Meeting monthly at StarSpace46, the OKC WordPress Users Group discusses a variety of topics. These range from basic site setup, to content creation, and advanced topics like analytics integration. While each presentation is designed to help users who do not consider themselves WP experts, experienced users state that they learn something new every time they attend. The organizers, led by Sara Graybill, have a fondness for the open-source nature of WordPress, and all the benefits that come with a flexible website management system. Previous co-organizer, Tim Priebe, said that "We've found people pick WordPress for a variety of reasons, but they stick with it when they find it easy to use. And it doesn't hurt that open source software is free, either." Each Meetup includes a Q & A session, where anyone can ask the presenter, or other WordPress users in the room, for helpful advice.